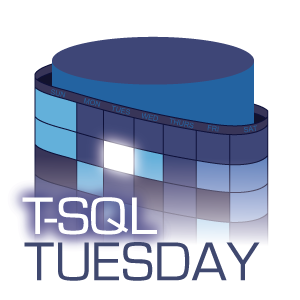 Since I saw the invitation from Adam Machanic about TSQL Tuesday #100 , it took me a while to decide what should I write about? I thought about few things but most likely I will not have any role into bringing those ideas into reality. For example human colony in MARS, self-driving taxi service, and unmanned ocean going ships. Though the last one is very near and dear to my heart as I worked in ocean going ships for many years. I decided to write something that can be useful today and hopefully also when I get the invitation from Adam Machanic for TSQL Tuesday #200 in July of 2026. What lead me to write about this topic? I had my first cell phone when I was 33 years old. I had all necessary phone numbers in my head which is not true any longer. In 2009 when Massachusetts sales tax increase from 5 to 6.25 percent I noticed many people struggled to calculate the tax even on rounded figure like $1000. Students (even in middle school) reach out for calculators for basic arithmetic like 2 digit addition, subtraction. During winter storm Quinn we lost power for 72 hours and I noticed sudden change in children’s behavior as they were without any connected devices. I could not pinpoint where the term ‘Digital Dementia’ also known as ‘Electronic Dementia’ came from. Most likely it is one the following two. There are studies out claiming, on average adults spend eight hours and forty minutes daily using digital technology. Children’s are not far behind. They spend upwards of seven and a half hours with digital technology every single day. Many people will argue that, there are no problem outsourcing our brain to our devices or search engines. But according to Dr. Merzenich we either use it or lose it. The basic concept is simple. The brain changes physically, functionally, and chemically, as you acquire any ability or skill. You know this instinctively. Something must be changing as your abilities improve, or as new abilities emerge. You are actually remodeling your brain machinery by ‘practicing’ the skill; those physical changes account for your learning. Use your brain (Use your Head Instead of Relying on Digital Devices). Limit Screen Time (Extra tips for parents). Crack open a real book and not kindle. Learn a new language –Not sure if R and Python qualify! Practice mindfulness-you are aware of what is happening around you. If you want to go one step further totally unplug like Baratunde Thurston. Previous: Data Discovery and Classification -How it is done?